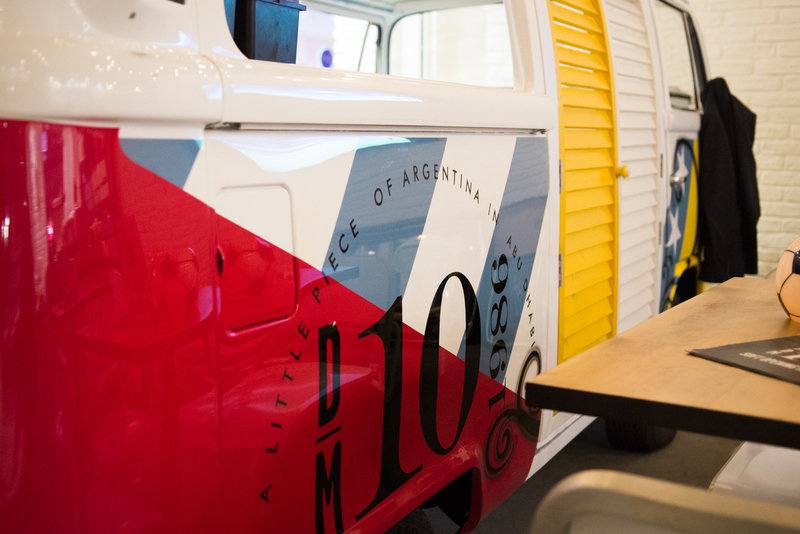 Backbone Branding invited to Diego Armando Maradona’s birthday party. 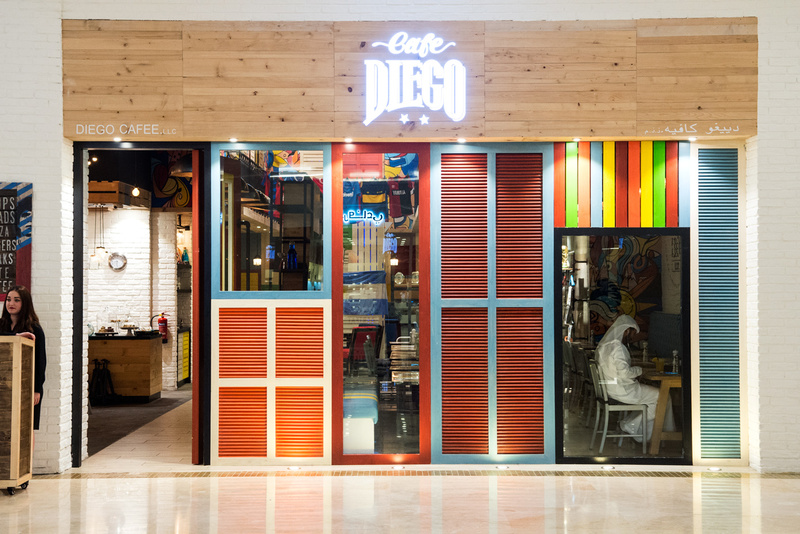 Last year, on October 30, Café Diego had its Grand Opening Ceremony. 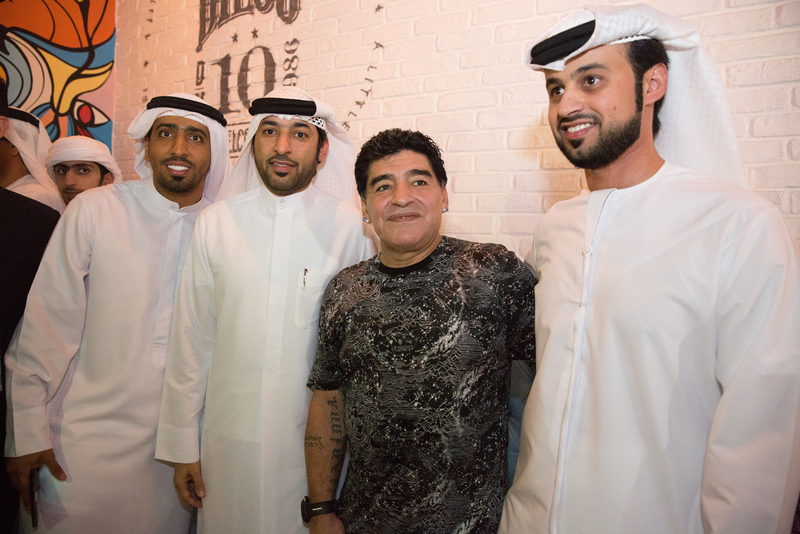 One of the highlighting events of the Ceremony was Diego Maradona’s birthday party. 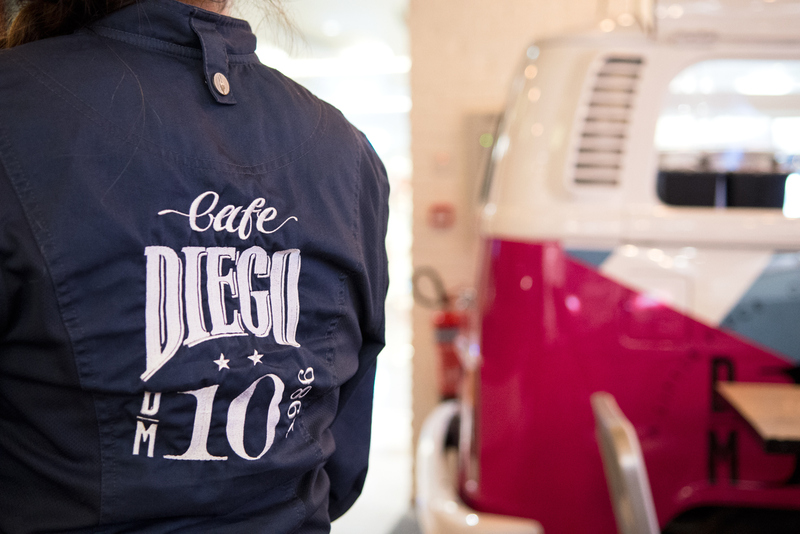 The co-owner of Cafe Diego project was personally present and brought his friends and other guests, and our studio had an honor to be at this unforgettable party as well. 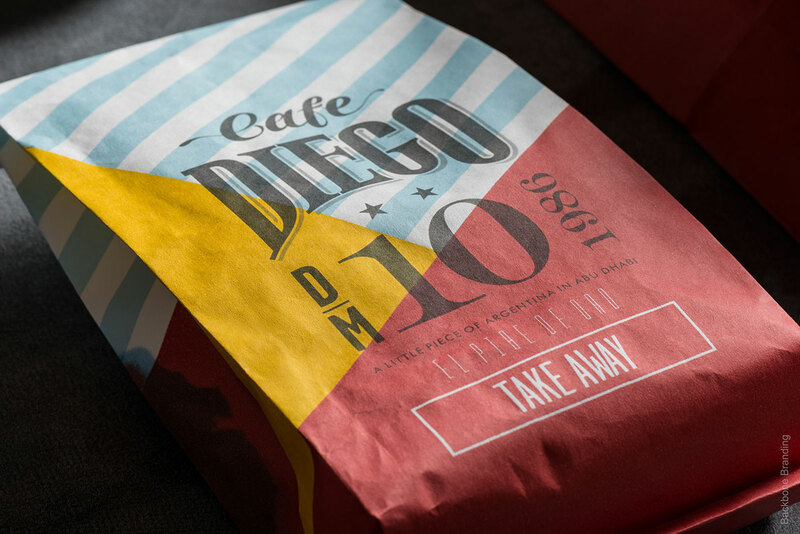 Backbone Branding was invited both as a special guest and as a company which did the branding of “Café Diego” . 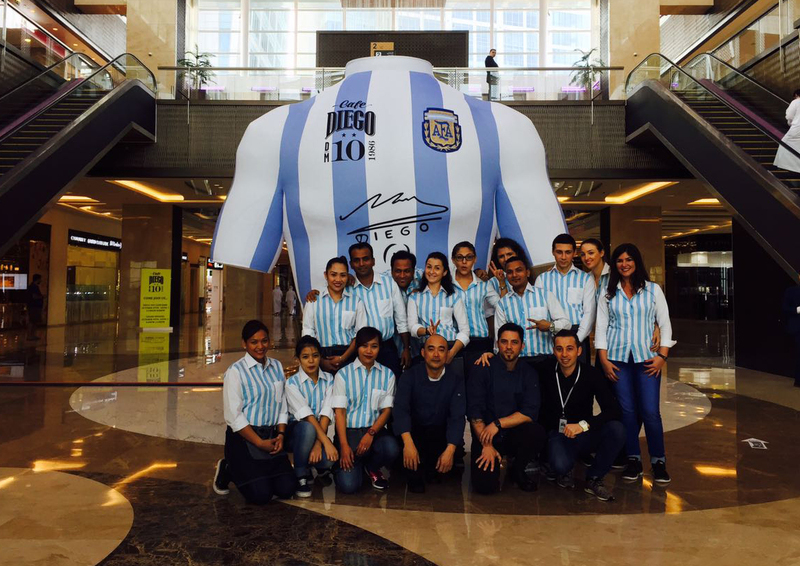 As it is the tradition in Maradona’s motherland, the celebration and festive mood was all over the place. The party was crowded and full of smiles and fun. You could see little kids in their tiny football T-shirts running around and trying to get Maradona`s autograph. 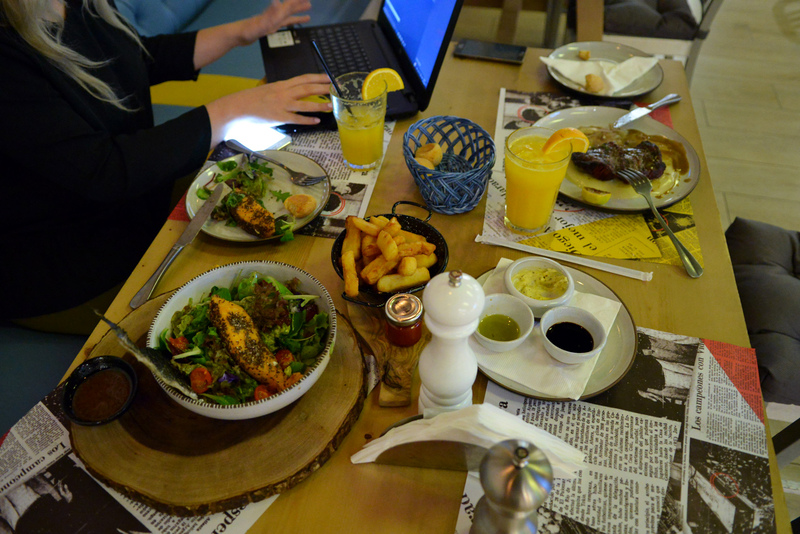 People were offered food which consisted mostly of Diego Maradona’s favorite dishes and the sweets. 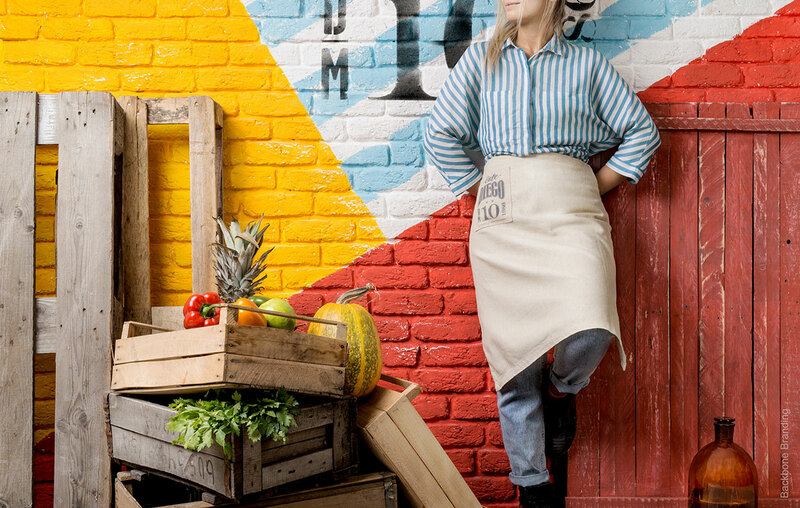 Oh, we can say for sure that they were the finest we have ever tasted. 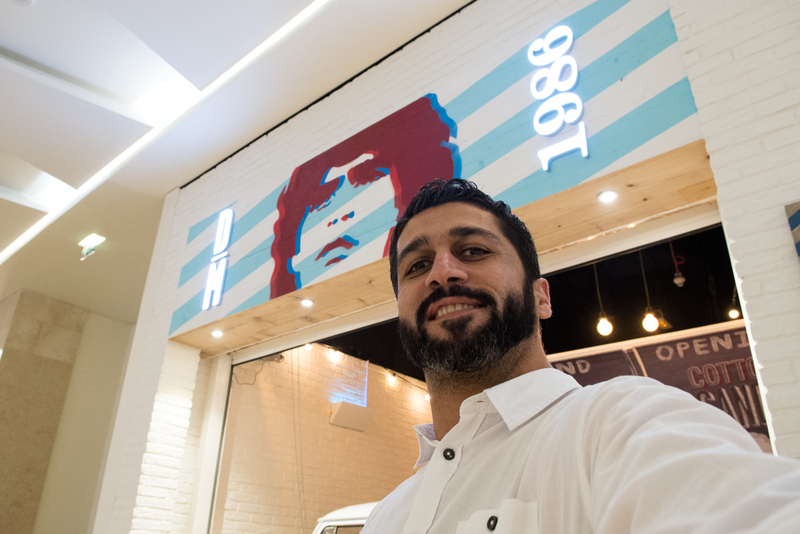 Those who did not get an invitation to the opening ceremony gathered at the café and were yelling Diego Maradona’s name. One of the fans was so enthusiastic that Stepan Azaryan, our creative director, gave him his pass badge and helped to get inside. 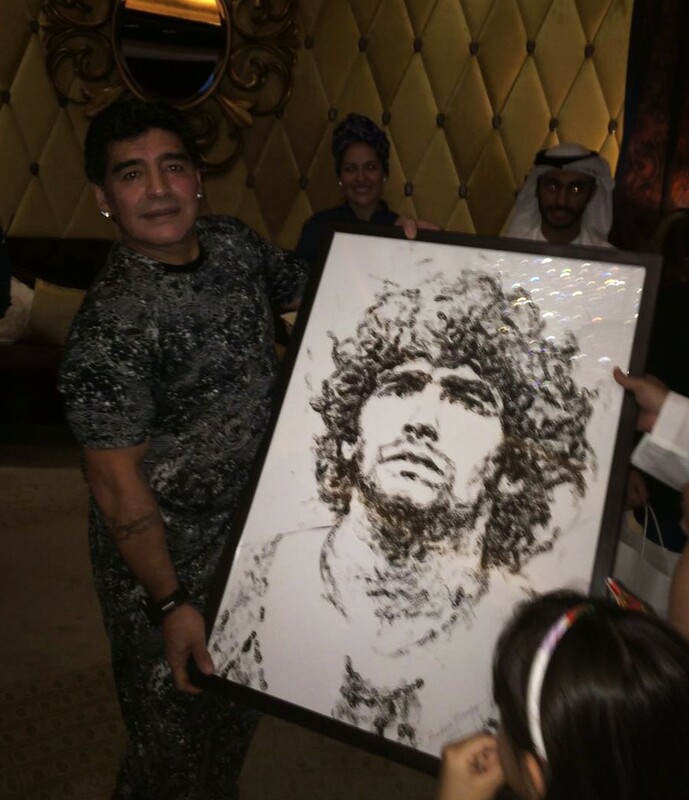 As a gift for Maradona`s birthday, we illustrated his portrait through a unique technique. He was very thrilled to see it and promised to hang it in his office. 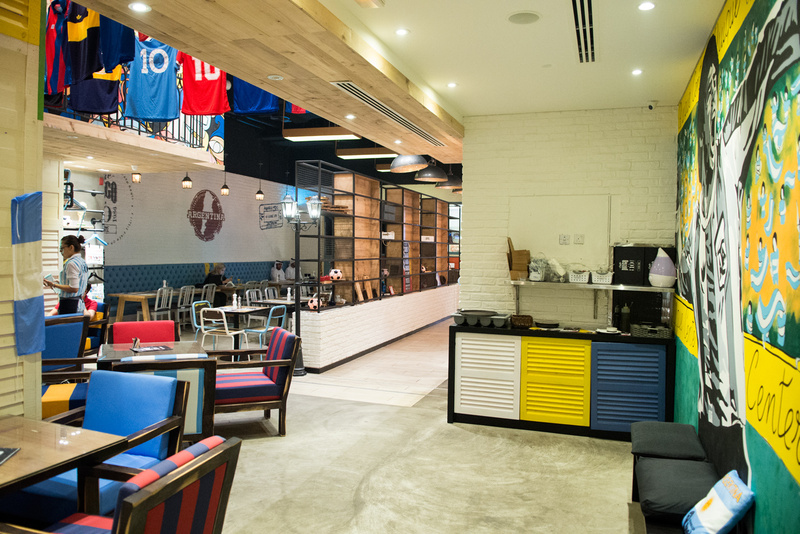 Yet early in 2015, Backbone Branding received a request from Diego Maradona’s friend to create a branded café in Abu Dhabi. 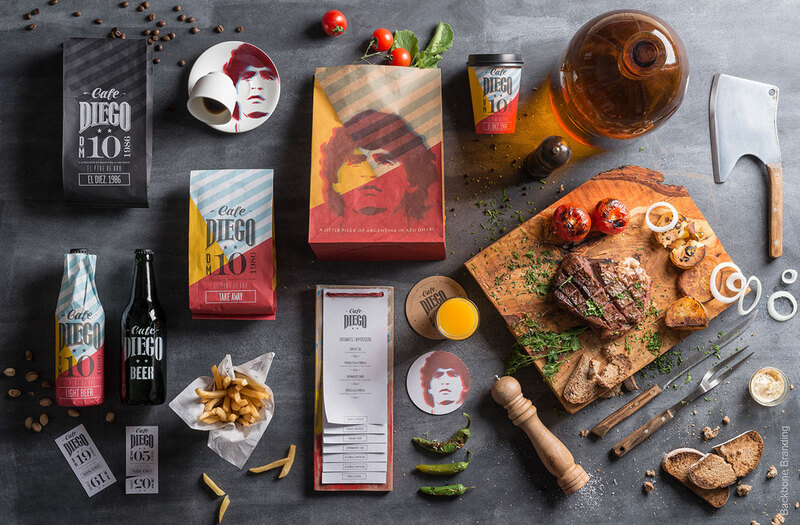 He was planning to open it in honor of his friend, the legendary Diego Maradona. 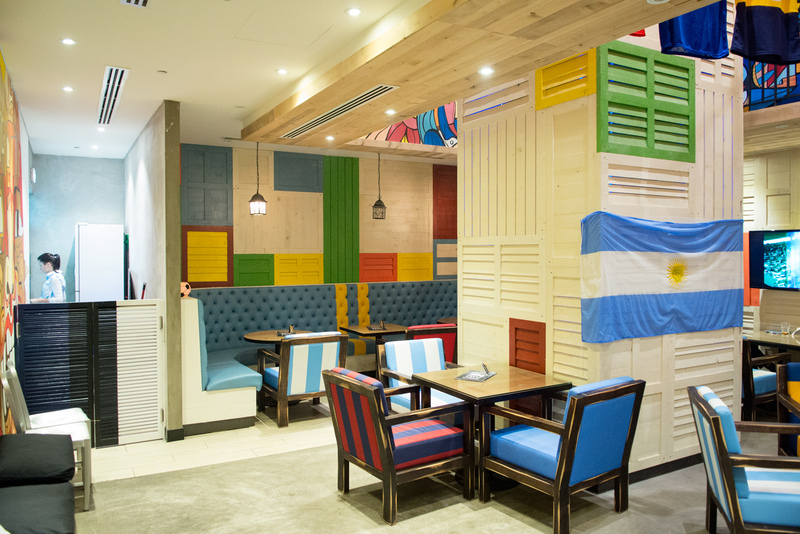 Although the café was in Abu Dhabi, it had to convey the spirit of Maradona’s Argentina. 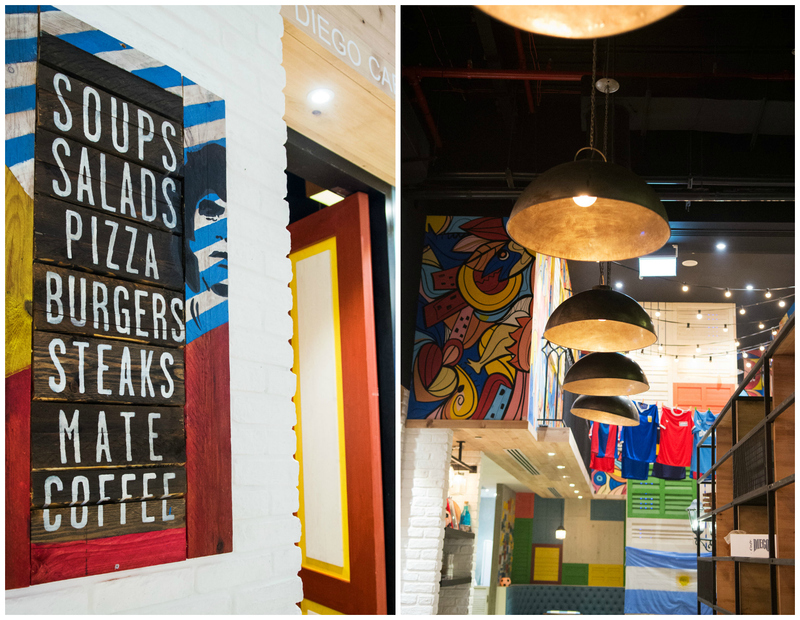 It was also important for the customers to experience the atmosphere that had surrounded Maradona. 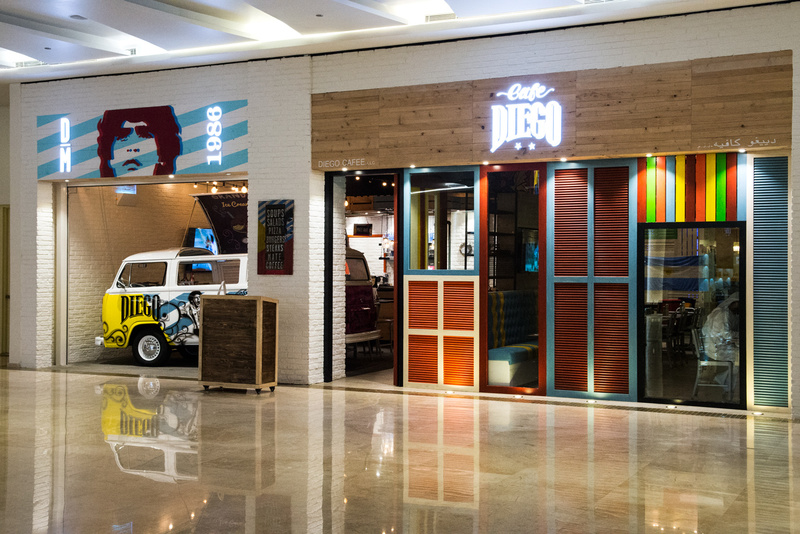 Working closely with “Redesign Gulf”, the interior design firm of Café Diego, we were able to convert the idea into a reality. 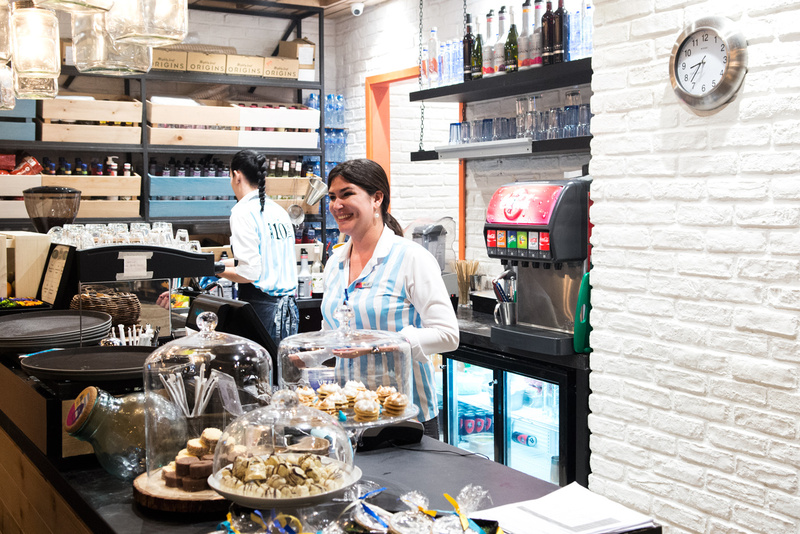 By coming to the café, visitors could live through a unique Argentinian experience. 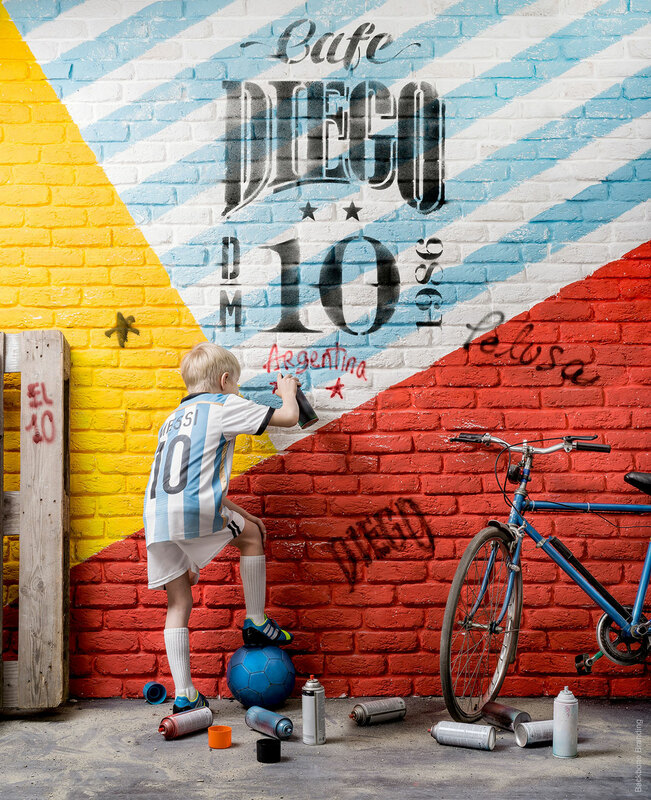 The shatters would reflect the street atmosphere; T-shirts hanging in the backyard would demonstrate passion for football by local people and the warm and typical colors would radiate the mood of Maradona’s Argentina. In other words, it would be an experience when a customer would describe it to his friend as “Maradona’s area in Abu Dhabi”. 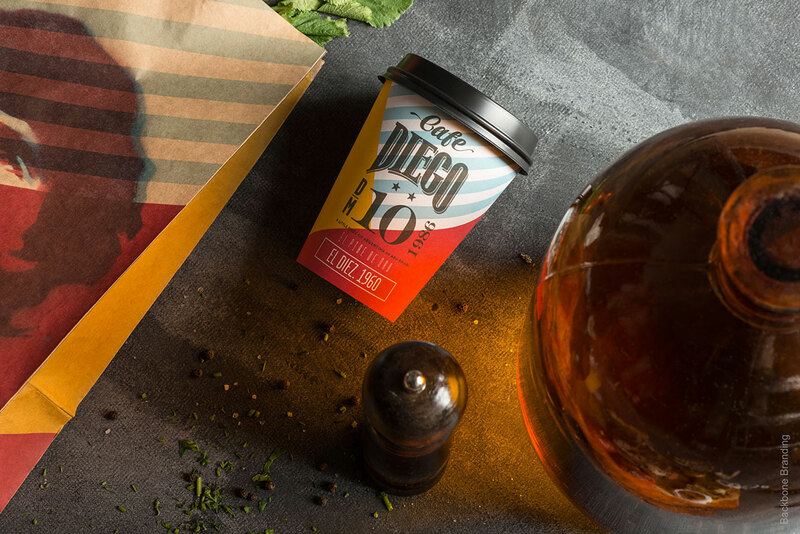 The mood has its contagious power to help people to identify themselves with the fans of Maradona, even though they had never been to Argentina. Indeed, this project has become very emotional and multicultural. 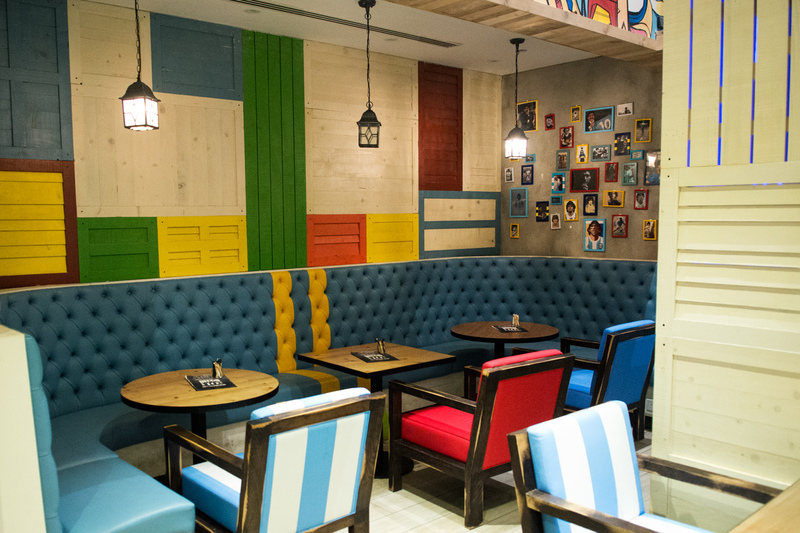 The concept and idea were born in Abu Dhabi, ideation and branding – in Armenia, and interior design and implementation – in Abu Dhabi. But we all got our INSPIRATION from Maradona and Argentina. We are very proud to be a part of a fragment of a legendary person`s life. It is obliging and inspiring at the same time!